Intelligent, innovative and intuitive, the iCart Uno Trolley is the ultimate set of wheels for your golf bag this season. The soft grip ergonomic handle is designed to allow the trolley to be used by both right and left handed golfers, and can also be adjusted in height for total ease of use. 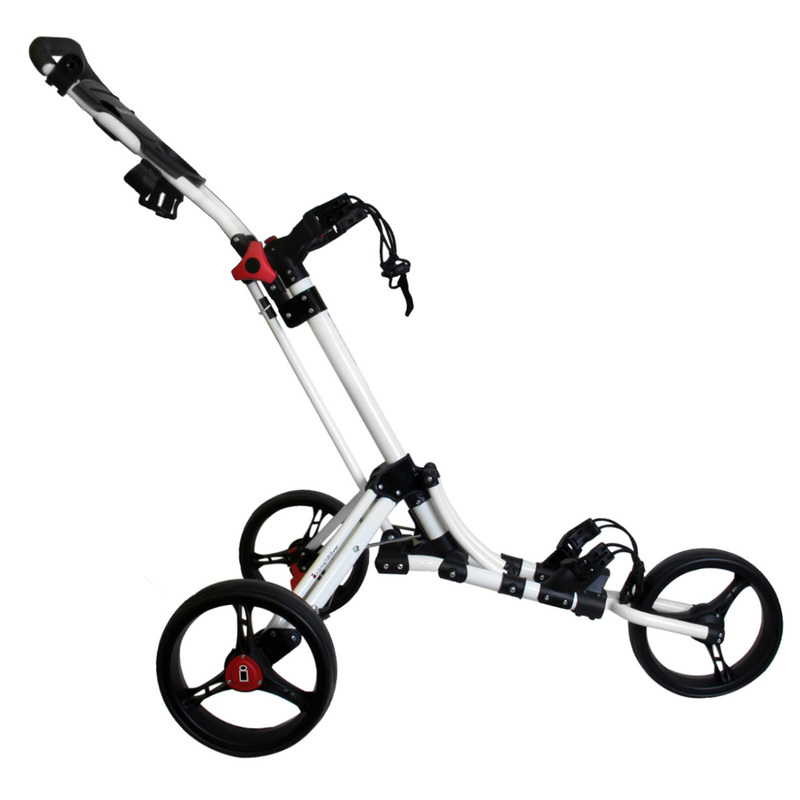 The adjustable bag brackets allow any golf bag to be securely fastened. 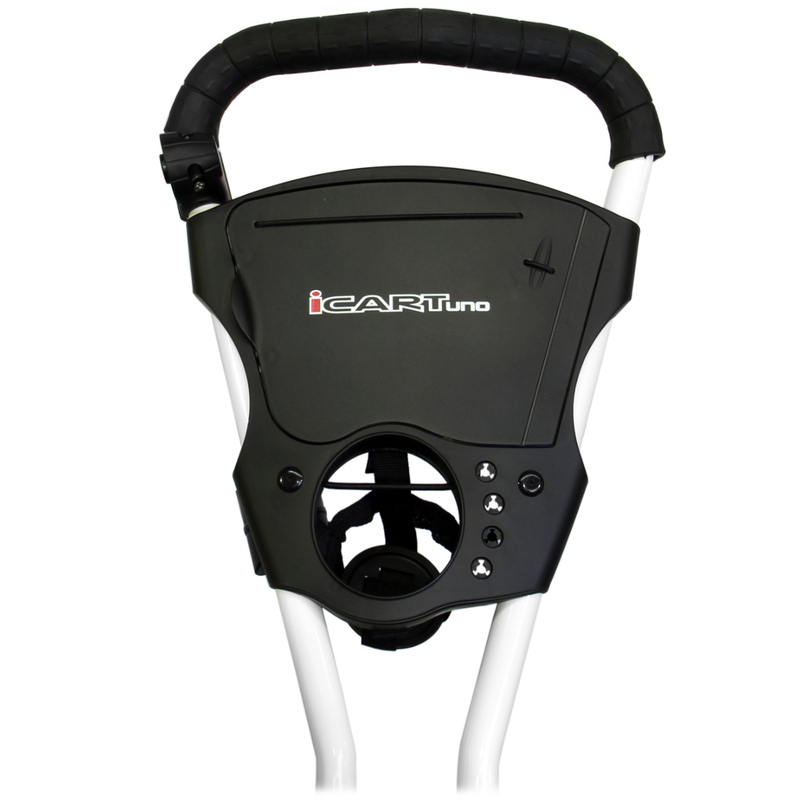 No more rooting around your golf bag looking for tees and accessories, the iCart Uno Trolley has a space for them all. The multi function centre console provides a space to securely hold a scorecard, pencil, drinks bottle, tees, golf balls and there is also an elastic strap to securely hold a gps of phone. 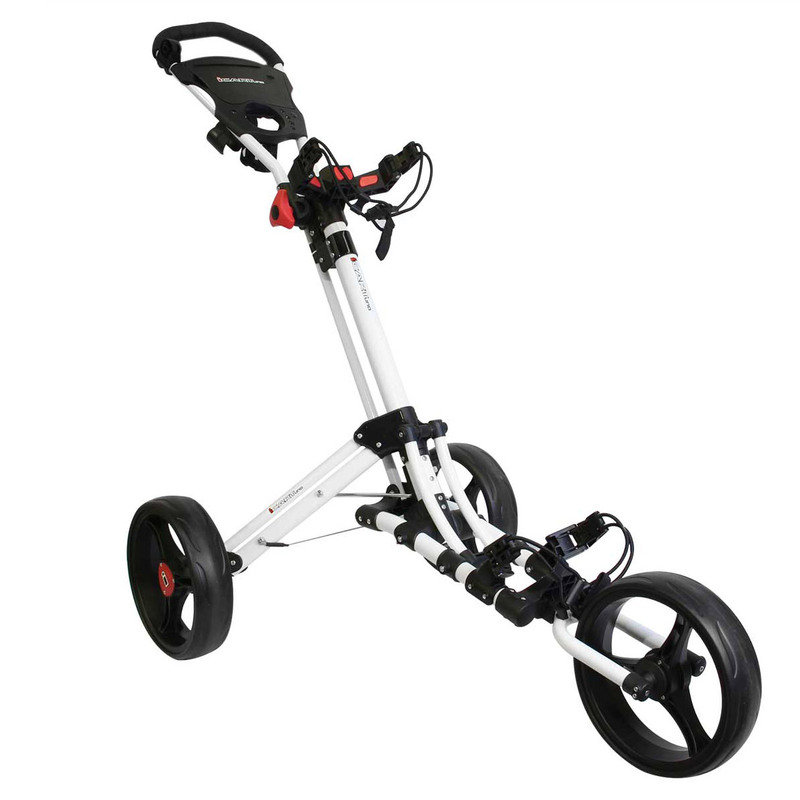 There is also has a foot brake to allow you to park your trolley on any slope without worrying about it rolling away. The iCart Uno Trolley is unbelievably easy to fold and collapse. With the push of a button and one simple adjustment, the trolley can be easily folded to a compact size, perfect for storing in car boots, in locker rooms and won't take up much space in the garage. 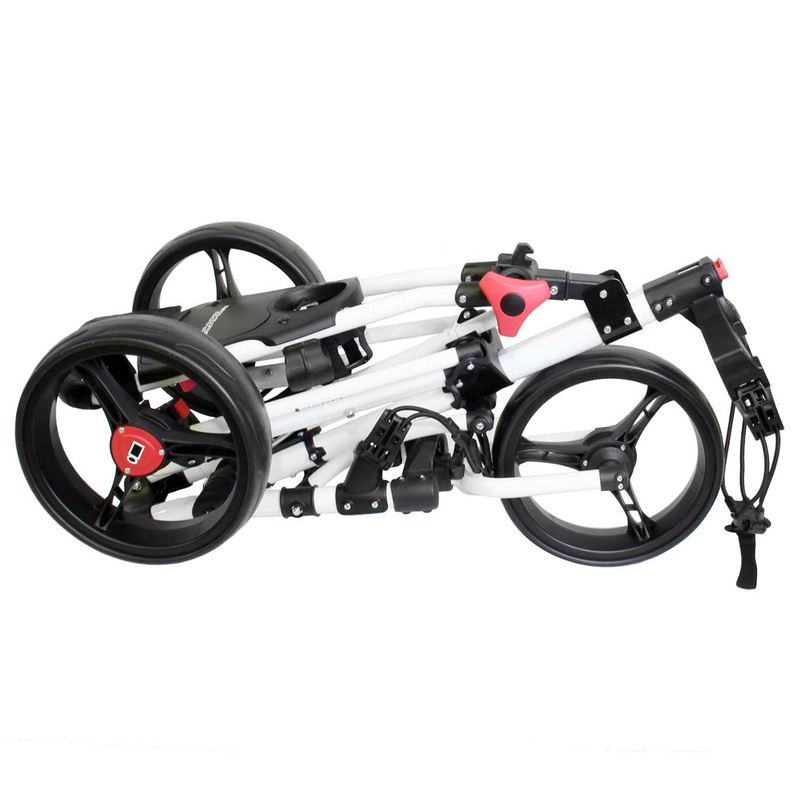 The quick release wheel also allow you to save even more space when being stored.